Striving to bring you the latest advances in women’s medicine. At Siouxland Women’s Health Care we understand women and their particular health needs. We provide our patients with comprehensive gynecological health care services throughout all stages of their lives, from the beginning of their reproductive years and through menopause. From basic annual exams to highly specialized treatments for specific gynecological disorders, Siouxland Women’s Health Care provides women in Sioux City and the surrounding area exceptional and personalized health services. Our physicians, nurse practitioner, and staff are dedicated to providing the latest technology and best possible medical care. Contact our friendly, professional team today to schedule an appointment, or to inquire about any of our services. 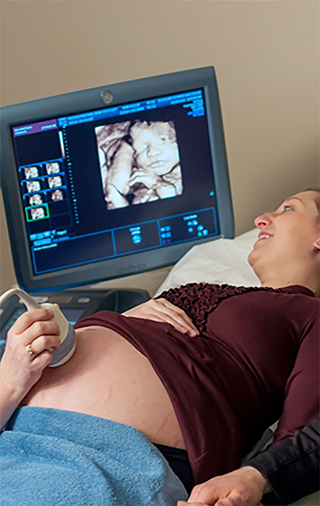 We specialize in obstetrics and gynecology. Some of our many services include prenatal care and delivery, 3D/4D ultrasound, prenatal screenings, VBAC, infertility treatments, abnormal periods, family planning birth control, hormone replacement therapy, MonaLisa Touch and menopausal care. Siouxland Women’s Health Care has been providing excellent gynecologic, obstetric, and preventative health care to women throughout the Sioux City area for more than 50 years. Rely on our caring staff to meet all of your medical needs.